The improvement stems from the Legislature and the Governor avoiding each other just long enough to get a budget passed. No one in the Capitol is rejoicing, however. The looming public pensions crisis serves as a constant reminder that the Commonwealth’s credit ratings can fall at any moment. Simple right? Well, not to House Speaker Mike Turzai. The hybrid plan does not “fully meet” funding obligations. Even if we switched the entire system from a defined-benefit to a defined-contribution retirement plan, that merely stops the bleeding; it won’t do anything to address the massive unfunded liability that has already accumulated. The stacked hybrid plan being promoted by state House leaders doesn’t even stop the bleeding because it maintains a defined benefit component. This attempt at reform is, itself, a gimmick. Keeping any elements of the defined-benefit plan virtually guarantees that the unfunded liabilities will not only go unencumbered; they will continue to build. Political courage may be in short supply these days, but numbers don’t lie. Pennsylvania taxpayers need their representatives to protect them from the “fiscal cliff” Turzai and his fellow lawmakers should know is coming. The only solution is to stop pretending this Band-Aid of a bill is the tourniquet that will stop the bleeding and finally pass meaningful reform. The General Assembly and Governor Wolf must stop ignoring reality and pretending that half-measure reforms will stop the problem. Revenue Scheme Failing In Pa. In the search for revenue to cover the General Assembly’s insatiable need for more spending, the legislature looked for new sources of revenue and taxes. Ignoring the $200 million that they borrowed from other funds, the ill-conceived choices they made are already falling through. Lawmakers thought they had a sure winner when they decided to sell casinos licenses to sell alcohol between 2 a.m. and 6 a.m.; they were wrong. Casinos have scoffed at the $1 million license fee. One casino spokesman stated that they likely wouldn’t take the license if it was free. This lack of interest from casinos for the 24-hour liquor licenses creates an immediate $12 million hole. “‘It’s almost as if the tax was designed to kill small business,’ said Chris Hughes, owner of Fat Cat Vapor Shop in Montoursville. Because Mr. Hughes does not have the ability to send the government a $40,000, he is liquidating his inventory and going out of business. Now the state will lose the tax revenue Mr. Hughes’s business was generating and the new taxes the General Assembly had counted on to fill in the budget deficit. These problems could have been avoided if the legislature and the Governor had made an attempt to rein in spending. Instead, they added to the corporate welfare budget at the expense of small businesses. Now business owners like Mr. Hughes closing shop because of legislative greed. Author BillLawrencePosted on August 4, 2016 August 3, 2016 Categories Idiocracy, Leo Knepper, Pa Budget 2016Leave a comment on Revenue Scheme Failing In Pa. The irresponsible budget passed by the General Assembly became law without the Governor’s signature early Tuesday morning (July 12). Because spending exceeds revenue projections, the budget was not balanced. Pennsylvania’s constitution requires a balanced budget. The imbalance was corrected, at taxpayers’ expense, on Wednesday. On a somewhat positive note, the increased taxes on heating bills was not part of the tax increase. However, there was a lot not to like about the legislation. To satisfy the General Assembly’s insatiable need for spending increases, taxes were raised on tobacco products, e-cigarettes, and digital downloads (music, movies, apps, etc.) among other things. The Pittsburgh Tribune-Review has a full list of the tax increases and sources of additional revenue. Here are the roll call votes for the House and Senate. 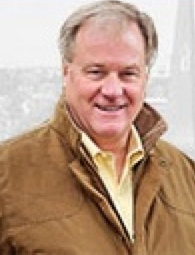 Ed Notes: Of the 31 Republicans in the 50-member Pennsylvania Senate, 17 voted against the tax hikes including Delaware County Republicans Tom McGarrigle (R-26) and Tom Killion (R-9). Andy Dinniman of the 19th District was the only Democrat to vote against the bill. Kudos to them. Of the 118 Republicans in the 203-member State House, 54 voted for the bill including Delaware County Republicans Bill Adolph (165), Steve Barrar (160), Nick Miccarelli (R-162) and James Santora (R-163). Republican Chris Quinn, who won a special election, July 12, to fill the 168th District seat vacated by Killion for his Senate run, did not vote as he had not yet been sworn in. Of the 84 House Democrats, 11 voted against the bill including, believe it or not, Delaware County Democrat Leanne Krueger-Braneky (D-161). Mr. Conservative Steve Barrar, mull that one around. McGinnis Describes Bad Budget Bill — Pennsylvania’s General Fund budget plan for fiscal year 2016-17 was passed, yesterday, June 28, by the state House of Representatives by a vote of 132-68. 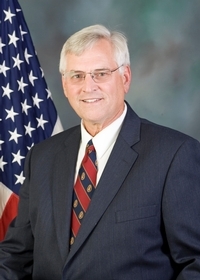 Among those voting no was Rep. John McGinnis (R-79). No. 10 Increased revenues from tobacco taxes are inherently unfair because we are asking a small and relatively poor number of citizens to contribute to the general expenses of the Commonwealth. No. 9 Revenues from tax amnesty and gaming are highly unreliable, and it is improper to cover the expenses of necessary government functions with uncertain sources. No. 8 Running a budget with recurring expenses and non-recurring revenues is perpetuating and aggravating the ‘structural deficit’ problem. No. 7 The budget was available for full review to rank-and-file members on Monday night and the vote was Tuesday afternoon – not exactly much time for due diligence. No. 6 The accompanying code bills (the spending instructions) were unavailable for review before the budget vote. No. 5 Tax votes necessary to fund the budget were scheduled AFTER the budget vote. No. 3 The 6 percent increase in funding for the Legislature is indefensible, as we should be leading by example on fiscal discipline. No. 2 The 4.8 percent increase in overall spending includes unwarranted increases in discretionary expenses, well in excess of population growth and inflation. McGinnis’s First Law of Taxation: It’s the spending, stupid! If you spend a dollar you must tax a dollar, and this is a budget that says taxpayers are NOT doing enough. I reject that claim. The legislation, Senate Bill 1073, sets total state spending at $31.55 billion, which is $1.49 billion, or 4.8 percent, more than the current fiscal year. The budget plan does not call for any new or increased income or sales taxes. The proposal raises new, recurring revenues from a mix of sources, including increased taxes on tobacco products, reforms to the liquor sales system, expanded gaming and a tax amnesty program. The bill now heads back to the Senate for concurrence. Gov. Tom Wolf announced today, March 23, that he will allow the spending plan for the 2015 – 2016 budget year that Republicans put on his desk last week to become law. Gov. Wolf is refusing to sign the bill which means it will become law automatically. Gov. Wolf has said repeatedly and emphatically this week and last week that he would veto the plan. Let me be clear – this is a victory for Pennsylvania taxpayers and a setback for Gov. Wolf. He was forced to allow the spending plan to become law because Democratic Senators and House members were going to vote with Republicans to override his veto of the spending plan. It will be interesting to see what Gov. Wolf does moving forward. It is important to understand that Gov. Wolf’s 2016 – 2017 budget proposal is based on his original 2015 – 2016 spending plan. Now that Gov. Wolf has had to accept a more responsible spending plan that doesn’t raise taxes, he will also have to be much more realistic about his 2016 – 2017 budget. Today is a good day for the taxpayers of Pennsylvania. Yesterday (March 17) I updated you on votes in the Pennsylvania State House and Senate on HB 1801, which would end the 2015-16 Budget impasse. I also reported that Governor Wolf had stated that he would veto the budget bill. Late yesterday it was reported that Governor Wolf was making statements that he was willing to close schools. Click on this link and please read the story – I recommend viewing the video by Courtney Brennan. Governor Wolf has gone off his rocker. Governor Wolf will go down as the most destructive governor in Pennsylvania history if he allows schools to close. I see first-hand every single day how Governor Wolf has absolutely zero interest in cutting costs, cutting waste, and putting Pennsylvania on a diet. As a matter of fact, Governor Wolf is committed to growing Pennsylvania government to reward his public sector union friends. The best example of Governor Wolf growing government would be the 400 new employees hired at the Department of Corrections in 2015, which I feel confident saying are now dues-paying union members. Click on this link to see which Democrat’s voted no on HB 1801 in the state House and Senate. To end your week, here is a great example of the irrational thinking of Senate Minority Leader Vincent Hughes from Philadelphia on the budget. Stay tuned – I will have more to report next week. This is an update on the latest budget vote in the Pennsylvania Senate that occurred yesterday (March 16) at approximately 2 p.m. The words swirling around in my head as I write this email are – upset, angry, disgusted, disappointed and irresponsible, for starters. The State Senate voted on House Bill 1801 yesterday – HB 1801 is a supplemental appropriation bill for the 2015-16 year which provides $6.05 Billion to restore line items vetoed by Governor Wolf in December. HB 1801 passed with 30 Senate Republicans and one Senate Democrat voting yes. Eighteen Senate Democrats voted no. Governor Wolf has repeatedly stated he will veto HB 1801. If three\more Senate Democrats had voted “yes” then we would have had 34 “yes” votes – enough to override Governor Wolf’s veto. There are at least six Democratic Senators who represent school districts and non-profit agencies in their districts that have borrowed money and have serious financial challenges. What is upsetting to me is that these Democratic Senators are being intimidated by Governor Wolf and the Senate Democratic Leadership, which is dominated by Pittsburgh and Philadelphia members. My question is very simple to my Senate Democratic colleagues – how can you come to Harrisburg and complain about how bad things are back in your Senate District and then proceed to not vote to restore funding for the schools and non-profits in your district? How can you go back to your Senate Districts and face your constituents? To be clear the statement made by Budget Secretary Albright as to why Governor Wolf vetoed budgets sent to him means “leverage” over conservative and responsible Republicans. In my private sector business world this is similar to being backed into a corner – and I don’t like being backed into a corner. After several weeks of Senate Appropriations meetings starting on Feb. 22 and lasting until March 8, it is even more apparent than ever to me that Pennsylvania State Government is out of control. Here is a great example: Seven State Corrections Officers made over $100,000 just in overtime alone in 2015, the overtime earned is on top of their base wages which can range from $60,000 to $85,000. During last year’s Appropriations hearings the Secretary of Corrections stated that he did not anticipate any new hires, but in fact some officers may work some additional overtime to avoid having to hire additional employees. The 2015 records show that overtime has skyrocketed and the Department of Corrections has hired 400 new employees. As a sitting Senator, do I have the authority to question the Secretary of Corrections on the excessive overtime being reported and the new hires? Almost every agency that appeared in front of the Senate Appropriations Committee reported that for every $1 of compensation that is paid, an additional $0.80 to $1 is spent covering benefits. In the private sector the percentage ratio of benefits to compensation is typically under 50 percent. At my various companies the benefit percentage is around 45 percent. What does this mean? It means that benefits for state employees are two to three times more generous than the private sector. If Governor Wolf chooses to veto HB 1801 and inflict more financial pain on Pennsylvanians it is time to recognize just how irresponsible this Governor really is. Governor Wolf is Pennsylvania’s CEO. He needs to start acting like it. He needs to hold every agency secretary accountable for their budgets. Last week, Governor Wolf disclosed that he has been diagnosed with prostate cancer – Governor Wolf reported that his cancer was detected in the early stages and that he would be under-going treatments – although Governor Wolf and I do not agree on many issues – I want to take this opportunity to wish Governor Wolf a full and speedy recovery. 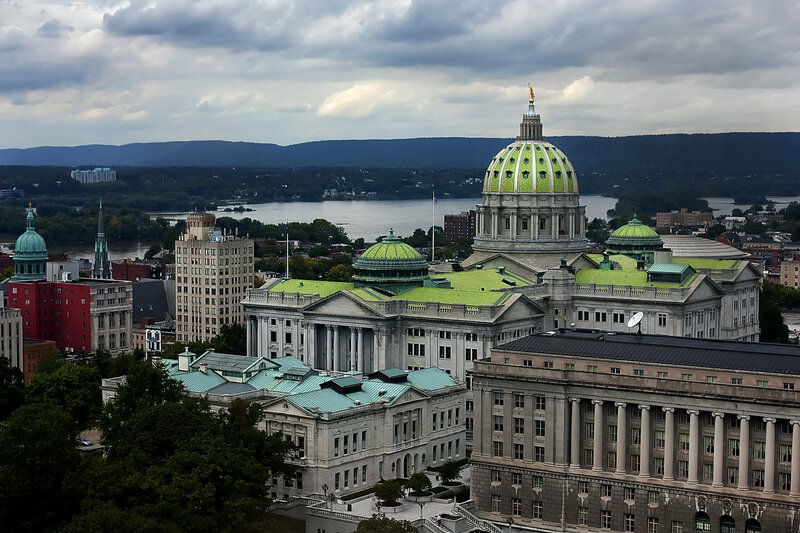 Yesterday (Feb. 29) the Pennsylvania Senate Appropriations Committee held budget hearings for the Department of Corrections, Department of Transportation (PennDOT) and the Department of Labor & Industry. The first hearing held was for the Department of Corrections. For the 2016-17 budget year the Department is looking for a $200 million increase in funding. Within the $200 million request are $73 million that will be used for pension obligations. Most troubling is to learn that overtime at Corrections facilities is out of control. More than 3,700 employees made more than $10,000 in overtime. The total of all of the categories listed above is $69.2 million for overtime. Factor in benefits of dollar to dollar of actual pay and the total cost of the overtime is almost $140 million. Consider the request in funding of $200 million — $73 million for Pensions and $140 million for overtime with benefits equals $213 million. It is important to note that personnel earning large amounts of money working overtime fully understand that by driving their full annual earnings as high as possible will result in a greater payout for their pension when they retire. Annual pension payouts are based on a percentage of earnings at the time that the person retires. The overtime cost is particularly troublesome because the Department of Corrections has increased it’s staffing by more than 400 positions over the last year. During the hearing we challenged the Secretary of Corrections by asking what can be done to control the Correction Department’s spending on overtime. The Department continues to hire more staff and overtime costs continue to skyrocket. It is important to point out that inmate population has decreased over the last four years. Total employees within the Department of Corrections as of the 2014-15 year was at 17,259. Of the total number at least 14,000 employees are unionized. It is my opinion is that the Department of Corrections has become so large that it has become unmanageable and must be reined in quickly. The second hearing was for the Department of Transportation (PennDOT). A major finding reveals that the Pennsylvania State Police receive funding through Gasoline and Diesel Fuel taxes collected by PennDOT. If you recall in November of 2013 the legislature increased the gasoline and diesel taxes to fund more road and bridge construction projects. History reveals that in 2001 a change was made to fund the State Police out of fuel taxes. A cap was to be put in place. It never was. In the 2001-02 year funding to the State Police from fuel taxes was $351.8 million. For the 2016-17 year it is projected to be $813.9 million. The funding the State Police will receive from Penn-DOT in 2016-17 over the 2015-16 year is a 7.2-percent increase. Using the current funding scenario where Pennsylvania motor fuel taxes fund the State Police – 11.7 cents on every gallon of motor vehicle fuel goes toward State Police funding. Another large challenge Pennsylvania faces is that cars and trucks continue to get greater fuel efficiency – meaning more miles per gallon as the EPA mandates that car and truck manufacturers increase fuel efficiency. As electric cars and vehicles powered by natural gas become more popular — they do not pay fuel taxes – there will be less tax revenue to fix roads and bridges. In addition, as our population continues to age, people in their 70’s and up are driving less. Many millennials that grew up in Pennsylvania that live in large cities are choosing not to own a ca. Many people are also using Uber instead of owning car. This again also means less motor fuel taxes generated. It is important to point out that Pennsylvania has one of the lowest passenger vehicle registration fees in the nation. I continue to be very aware of the thousands of trucks that enter Pennsylvania every day from Maryland on I-83, travel to I-81 and other routes through Pennsylvania without purchasing diesel fuel in our state because fuel taxes in surrounding states are anywhere from 20 to 30 cents less. A large over the road truck can hold up to 200 gallons or more of diesel fuel – if they re-fuel in MD or NY the savings in fuel taxes over PA could be $40 to $60 per re-fuel. The Pennsylvania State Police serve a critical function and it is important that we find a way to fund them without using liquid fuel taxes. Fuel taxes were increased to rebuild Pennsylvania’s roads and bridges – the budgeted amount of over $800 million should be going to road and bridge construction, not funding the State Police. Pennsylvania has the highest fuel taxes in the nation – click here for a chart of nationwide gasoline taxes. Click here to view diesel taxes. The last hearing was for the Department of Labor and Industry (L&I). The number of employees with L&I as of 2014-15 was 5,902 – the Department is looking for an increase from the General Fund of 8.2 percent. The Department of Labor & Industry is also a critical department of the Commonwealth of Pennsylvania and it provides critical functions such as elevator inspections, fuel tank inspections, and provides workers compensation insurance through the SWITF Fund (State Workers Insurance Trust Fund). It was reported last week during the hearing for the Treasury Department that the rate of inflation as reported by the Philadelphia and Pittsburgh CPI indexes was a negative number (0.02 percent for the 2015 year – so if inflation is negative and revenue coming into the state is growing at approximately 3 percent per year (mainly through Personal Income Taxes and state Sales Tax) and each agency in Pennsylvania is looking for funding increases greater than 3 percent additional money over and above 3 percent must come from somewhere. Governor Wolf has a solution for the somewhere answer – increase taxes on Pennsylvanians. It is very clear that state employee benefit costs coupled with the current pension crisis are now approaching one dollar for every dollar of pay — if this trend was taking place in the private sector business world it would mean CODE RED to do something — Pennsylvania is about to get buried in the dust. I have a solution. We must get Pennsylvania State Government spending under control and go on a diet. It will require many tough decisions and will require making changes and getting away from the status quo. Governor Wolf. it is time to act. Every day we delay the pain will increase for Pennsylvanians. Raising taxes is not the answer. Taking action on spending is the answer. Yesterday, Feb. 24, we completed the third day of Pennsylvania Senate Appropriations hearings. 1. During the Department of Conservation & Natural Resources hearing I learned that the Department had entered into a lease to lease land under the Allegheny River for 80 acres at a cost of $4,000 per acre for an approximate total cost of $320,000. Here is my question to the department – Is $4,000 per acre for one year or multiple years? Keep in mind – this is high priced swamp land – I want to meet the genius who entered into this deal. 2. The Pennsylvania State Police have between 135 and 145 full time personnel permanently assigned to casinos throughout the Commonwealth – the total cost without vehicle costs for the personnel is $28,491,000 (Million Dollars) – almost $200,000 person. 3. The State began the upgrade of a state-wide radio system approximately 10 – 12 years ago and the State Police use this system. Here is the bad news – the total cost spent so far is approaching $1.0 Billion Dollars and it does NOT work. Recently a roll-off truck from my waste company was in the Pittsburgh area and our dispatcher in York was able to communicate to the truck via our radio system that costs less than $3,000 for the radio in the truck. How many radios that cost $3,000 could be purchased for $1.0 Billion Dollars? The radio system sales rep who sold the system to the State is most likely retired and lives on a Caribbean Island from their commission. This story was published yesterday. The message is very clear – Saudi Arabia has declared war on the US Oil Industry. This price war is spreading to the Pennsylvania oil and gas industry. Pay close attention – more layoffs are coming, banks will be writing off bad debt from the energy industry. Pennsylvania’s golden goose is about to get cooked. I can assure you that corruption, stupidity, lack of accountability, waste, fraud and abuse and past bad decisions made over the last 30 years are getting exposed. In closing – I want to thank York County Voters who came out on March 18, 2014 and cast a write-in vote for me and sent me to the PA State Senate. For me to serve in the Pennsylvania State Senate is an honor that I consider priceless and a huge responsibility – you may not agree with me on everything or may not like my style but I can assure you this – I will tell the truth and report what I find – Pennsylvanians deserve better from our state government. I will continue to lead and be out front to change Harrisburg – and I am happy to report that the number of House and Senate Members right beside me that also want change is growing fast. What I have seen over the time since I joined the PA State Senate in April of 2014 is simply breathtaking and makes me angry. I will report more on Friday.